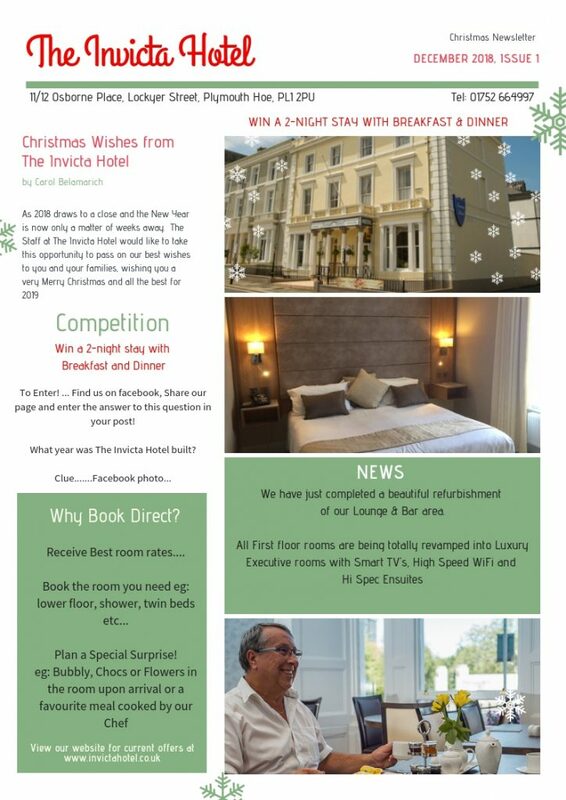 The Invicta Hotel are pleased to announce the launch of their quarterly newsletter. The Christmas issue was sent to all of our lovely guests who confirmed at check in when completing guest registration cards, that they were happy for us to send them communication relating to the hotels news, special offers and events. As an added bonus, this issue includes a competition to win a 2-night stay at our hotel. Read the newsletter to find out how you can enter!